Shopping online and in-store is safer and easier with a credit card. There are many payment apps (such as MasterPass) that make your credit card even safer and most cards also have lost card protection, which means that you are covered if your card is stolen. Your bank will look at your credit history if applying for a loan or financing. If you have used a credit card and paid it off in good time, then you will have a good credit record and therefore quicker approval for a loan or possibly favourable interest rates. Most banks offer reward points when you spend money on your credit card. Standard Bank has a system called UCount, which offers rewards in the form of points which can be converted to goods. 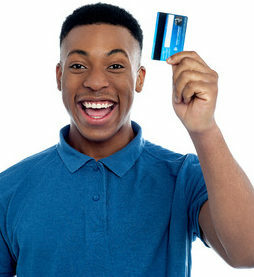 Big expenses can be paid off in monthly instalments through a credit card’s budget facility, which can be very helpful in cases such as unexpected medical bills, emergency travel or purchasing large appliances. When paying for overseas flights on your credit card you get free basic travel insurance (and can supplement this cover at a discounted rate). Spending on your Standard bank credit cards will earn you UCount rewards, which reward clients as outlined below.